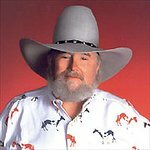 Charlie Daniels is a country music legend best known for The Devil Went Down to Georgia. His charitable work includes the annual “Christmas 4 Kids” charity concert which funds shopping holiday sprees for underprivileged children at the holidays. In his eleven years supporting the program, he has helped provide special shopping trips for more than 4000 children. 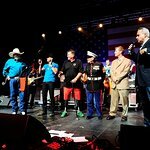 He is a vocal advocate of preserving American freedoms and has authored “Ain’t No Rag: Freedom, Family and the Flag” on what freedom, family and the American flag represents to him. He has been to Iraq several times to support American troops. On his fourth visit he recorded an album. Google trends for "Charlie Daniels"
We don't have any videos related to Charlie Daniels.